“Belt and Road” (B&R) refers to the land-based “Silk Road Economic Belt” and the seafaring “21st Century Maritime Silk Road”. The routes with strong emphasis on connectivity and international co-operation cover countries across Asia, Europe and Africa. 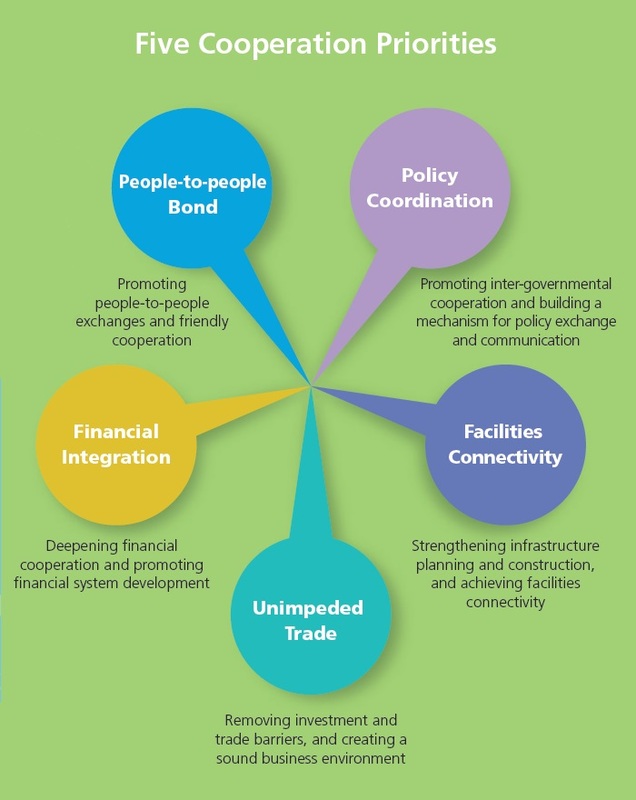 It features co-operation priorities in enhancing policy coordination, strengthening infrastructural facilities connectivity, facilitating unimpeded trade, deepening financial integration and building people-to-people bonds among countries along the routes. The B&R Initiative seeks to promote market integration and forge new ties among different economies, with the objective of driving deeper regional development by promoting cooperation in a variety of areas, expanding business opportunities and encouraging people-to-people exchanges among different regions. To promote the implementation of the Belt and Road Initiative, China issued in March 2015 a document entitled “Vision and Actions on Jointly Building Silk Road Economic Belt and 21st-Century Maritime Silk Road”, outlining the development ideas and blueprint of the Belt and Road Initiative. The Initiative has been receiving increasing attention and interests around the world. The proposed “five areas of connectivity” will foster the concurrent development of the Belt and Road countries and strengthen co-operation on the political, economic and cultural fronts.